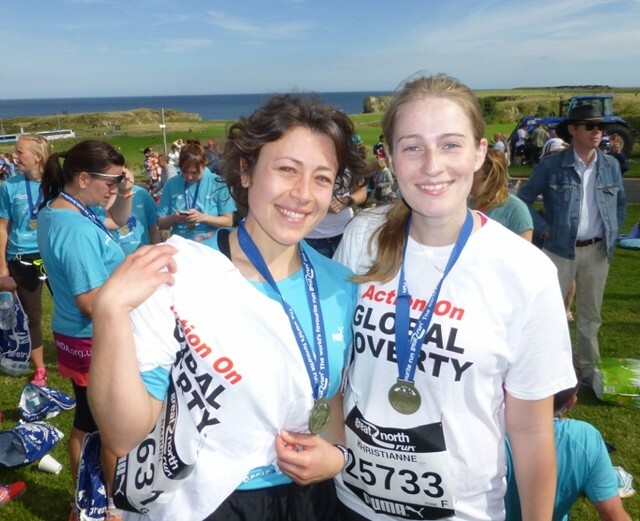 About 60 people, most of them staff and students at Newcastle University, participated in Jubilee Debt Campaign’s team in the Great North Run, the biggest half-marathon in the world, on Sunday. The weather was warm and sunny – perfect for the spectators, but not so good for runners wanting to improve on their times! 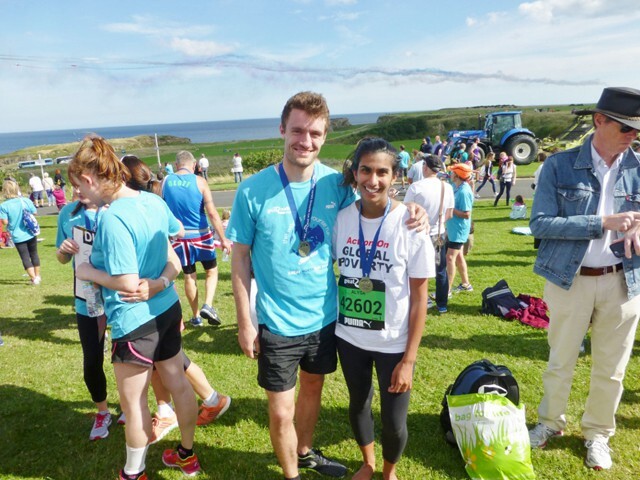 Two team members came up from London to take part – namely, Charlie Tunmore, until recently a member of Jubilee staff, and Alysa Remtulla, a staff member at STOP AIDS. Both spoke on behalf of the campaigns on the previous evening, at a high-profile meeting to celebrate the Run attended by several community leaders and about 60 supporters of North East CALL TO ACTION, a regional member of the campaign. Charlie and Alysa at the Finish. 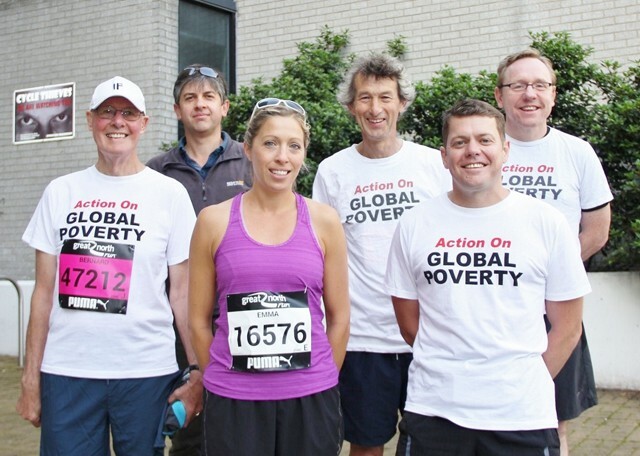 The team raises sponsorship funds for Jubilee’s work and the wider global poverty and climate change campaigns and, excluding the present year, has raised over £180,000 in total. Congratulations to all the runners and a big thank you to everyone who sponsored them! Raquel and Khristianne, students in the Medical Faculty, at the Finish.